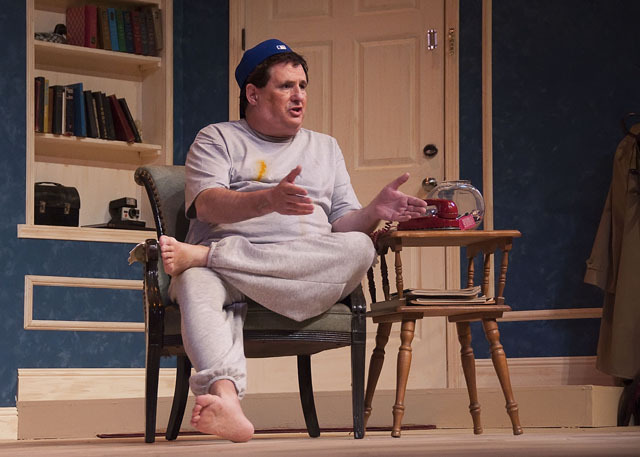 Final Weekend for “The Odd Couple” — Get Tickets Online! This entry was posted in General Information on May 27, 2011 by stocktoncivictheatre. Prizes for Stock­ton Civic Theatre’s fundrais­ing raf­fle were awarded at a lun­cheon held at Stock­ton Golf & Coun­try Club on Wednes­day, May 25. After the sale of $20 tick­ets through­out the com­mu­nity, the first place win­ner was awarded $5,000, sec­ond place $2,500, and third place $1,500. The big draw­ing was held on May 14 at the theatre’s annual Shrimp Feed, held this year at St. Mary’s High School. 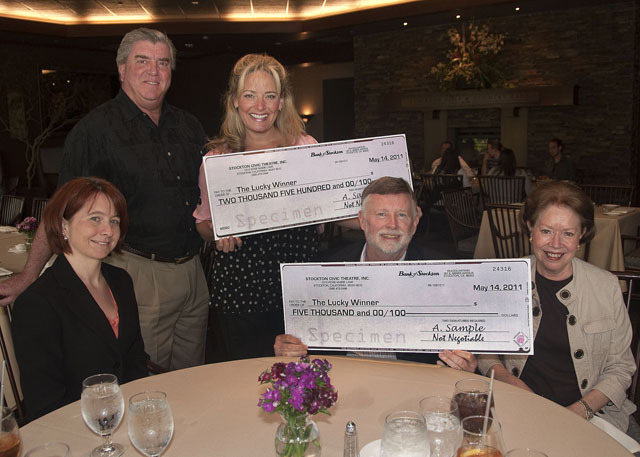 The $5,000 first prize was won by Bill Tra­vaille, the $2,500 by Dr. Lynn Parker, and $1,500 by Brian Laf­ferty. Prizes were pre­sented by Vice Pres­i­dent of Fundrais­ing John Cam­mack and SCT Board Pres­i­dent Alli­son Lafferty. Over $15,000 in net pro­ceeds from the raf­fle will ben­e­fit Stock­ton Civic The­atre pro­duc­tions and Arts edu­ca­tion pro­grams for youth and adults. Poor Felix. His wife threw him out. What does he do now? Stock­ton Civic Theatre’s THE ODD COUPLE con­tin­ues through the week­end with adult tick­ets being sold at the price of two for one ($25) on Sat­ur­day nights. Don’t miss this crit­i­cally acclaimed Neil Simon com­edy as audi­ences laugh their way through the “sit­u­a­tions” that Oscar Madi­son and Felix Unger cre­ate for them­selves. 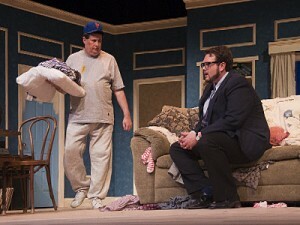 The Box Office is open two hours before cur­tain time, or buy tick­ets online 24/7 at www.sctlivetheatre.com. Dis­counted Sat­ur­day night tick­ets are avail­able only through the Box Office at 2312 Rose­marie Lane, Stock­ton, phone (209) 473‑2424. THE ODD COUPLE is Directed by J. Lee Vocque. This entry was posted in General Information on May 20, 2011 by stocktoncivictheatre. 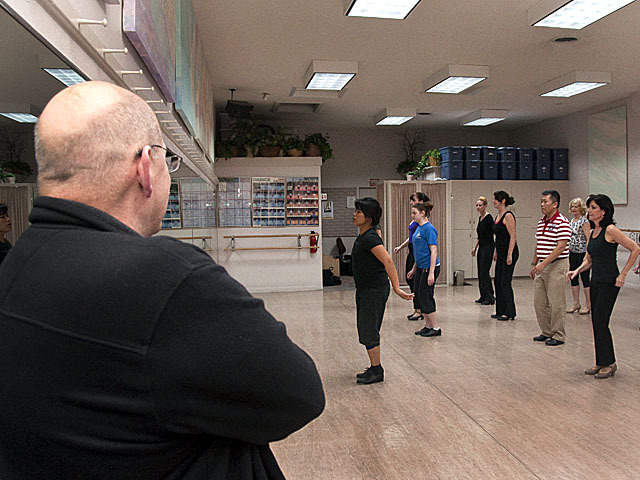 Direc­tor Jim Cole­man watches chore­o­g­ra­pher Eve­lyn Bar­ney put her stu­dents through their paces at the first “tap dance les­son” for 42ND STREET. Know­ing that he would have a dif­fi­cult time find­ing tap­pers in California’s Cen­tral Val­ley, Cole­man arranged the lessons for prospec­tive cast mem­bers. The classes con­tin­ued for six weeks before the show’s audi­tions began. Jim Cole­man and Elaine Orimo watch as the first tap dance lessons for 42ND STREET begin at Orimo’s Stock­ton Bal­let School. Even when classes weren’t sched­uled, Orimo arranged for the use of her stu­dio by SCT when the the­atre rehearsal hall was dou­ble booked. From Direc­tor Jim Cole­man, this is the final install­ment in a four part News & Cues series. The SCT cast for 42ND STREET is top-notch. 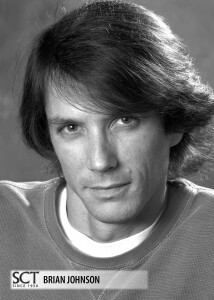 Steven Orr, who is new to us, is play­ing Julian Marsh, the direc­tor of “Pretty Lady”, which is the show within a show. This is his first time back on the boards in a long time, and we are glad to wel­come him to the fold. Melissa Esau plays Dorothy Brock, the fad­ing star of the show. Our audi­ences have loved Melissa over the years in many great act­ing, singing and danc­ing roles, most notably in SWEET CHARITY, SOUTH PACIFIC, BLITHE SPIRIT, and THE PRODUCERS. Joy Clark, who played Fan­tine in Saint Mary’s High School’s won­der­ful pro­duc­tion of LES MISERABLES, is mak­ing her debut with us as Peggy Sawyer, the cho­rus girl who becomes a star. Joy is a won­der­ful tap dancer and great singer and actress. Jacob Bron­son is play­ing the young man Billy Lawlor. Jacob has been with us in YOU’RE A GOOD MAN, CHARLIE BROWN, THE FULL MONTY, THE 25TH ANNUAL PUTNAM COUNTY SPELLING BEE, and CINDERELLA. Also in the stel­lar cast are Jen­nifer Hast­ings in the role of Andy Lee, Peggy Cole­man, back after a two-year absence, is play­ing Mag­gie Jones, and Michael Strat­ford, who is cur­rently play­ing Oscar in THE ODD COUPLE is Abner Dil­lion. 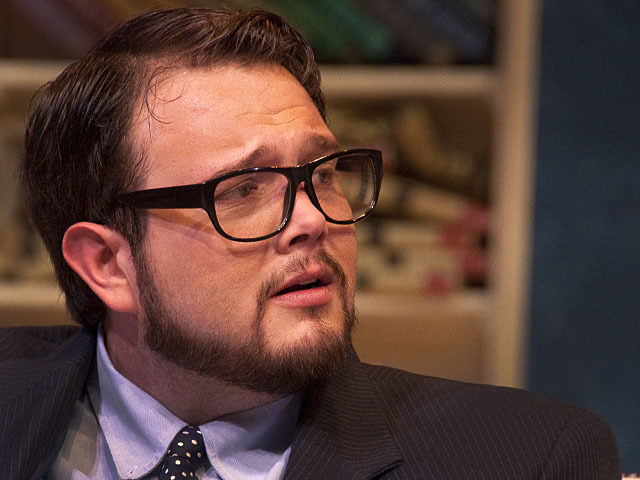 Eddie Har­g­reaves, also well known to our audi­ences for great per­for­mances in RUN FOR YOUR WIFE, THE 25TH ANNUAL PUTNAM COUNTY SPELLING BEE and I LOVE YOU, YOU’RE PERFECT, NOW CHANGE, is play­ing Bert Barry. David Mer­rick always said that the cho­rus of 42ND STREET was the real star of the show. We have a won­der­ful group of ensem­ble mem­bers that are labor­ing fiercely to become those “stars.” The danc­ing is dif­fi­cult, but they are attack­ing it with joy and great spirit. It is a great plea­sure and priv­i­lege to work with all of them. I hope you have enjoyed this brief look into the SCT pro­duc­tion of 42ND STREET. More sto­ries and insights will fol­low. For now, just believe me when I say we are hav­ing a great time! Get your tick­ets as soon as they’re available! I’ll see you at 42ND STREET. This is Part III in a four part 42ND STREET blog series by Jim Cole­man. Part IV, “The Cast” will be pub­lished on Sat­ur­day, May 21. 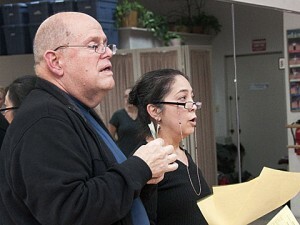 I am thrilled with our 42ND STREET com­pany here at SCT. I am very priv­i­leged to have Eve­lyn Bar­ney as chore­o­g­ra­pher. She is a tap dancer extra­or­dinare, and teaches at Elaine Ori­mos’ Stock­ton Bal­let School. Elaine has been very gen­er­ous in pro­vid­ing us with rehearsal space when we can’t use the the­atre because of the show cur­rently on stage. Brian Scott John­son is design­ing the set, which is very tricky. With the size of our stage it is some­times dif­fi­cult to adapt a huge show to our space. It takes some­one who is very cre­ative and clever and can do an awful lot with­out an awful lot of money. The LA pro­duc­tion cost about $3,000,000.00 to pro­duce. Our pro­duc­tion will cost about $35,000.00, which is the most we can spend on a big musi­cal. Cathy Hast­ings and Maria Bech­told have taken on the huge job of cos­tum­ing this show. I love work­ing with them because they are cre­ative, have great taste, and take great pride in what they do. Terry Smith, our res­i­dent Tech­ni­cal Direc­tor, and his assis­tant, Jes­sica Wallin, are build­ing this pro­duc­tion for us. They are the best around and I have the utmost respect for both of them. Terry is also the Light­ing Designer for the show. This entry was posted in General Information on May 19, 2011 by stocktoncivictheatre.